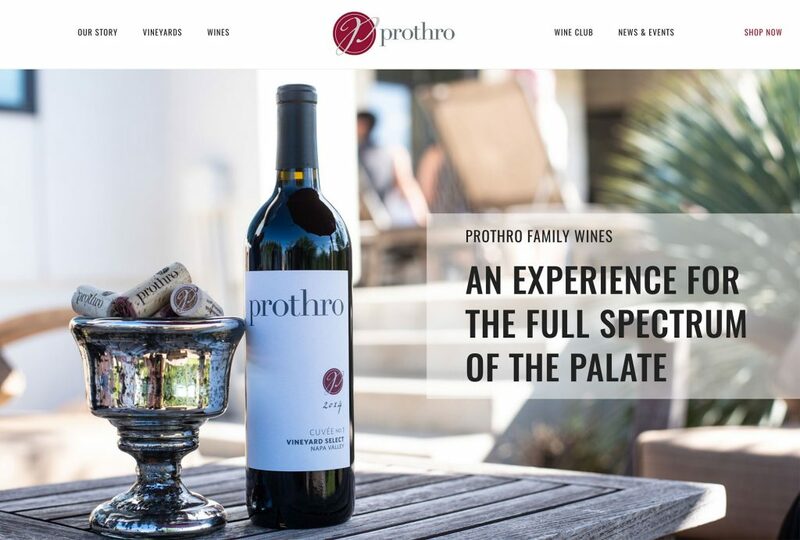 WordPress is a highly customizable website platform- whatever your vision is for your new winery website, we can create a tailored solution for you. Our design style favors full-screen, high quality imagery to make the biggest impact on your site viewers. We recommend WordPress for any client needing more than six pages of content. If you can imagine it, it can be built in WordPress. 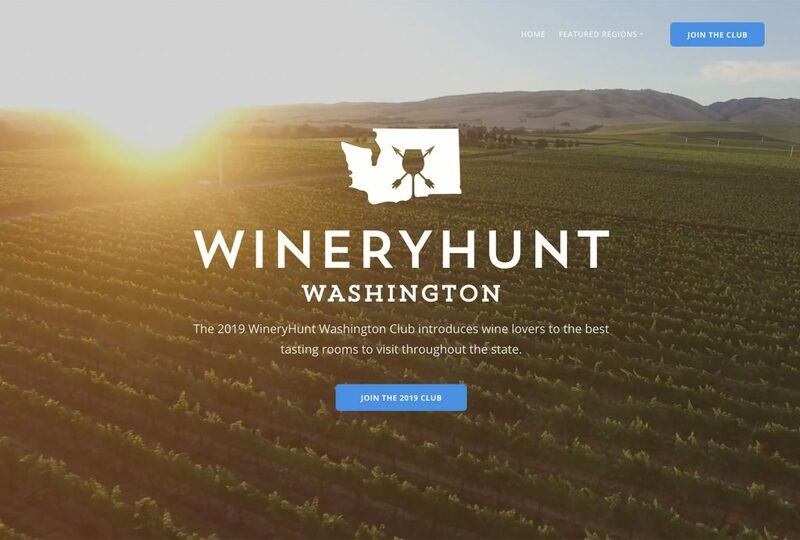 A rich ecosystem of WordPress plugins provide support for tasting room reservations, vineyard maps, custom forms and much more. 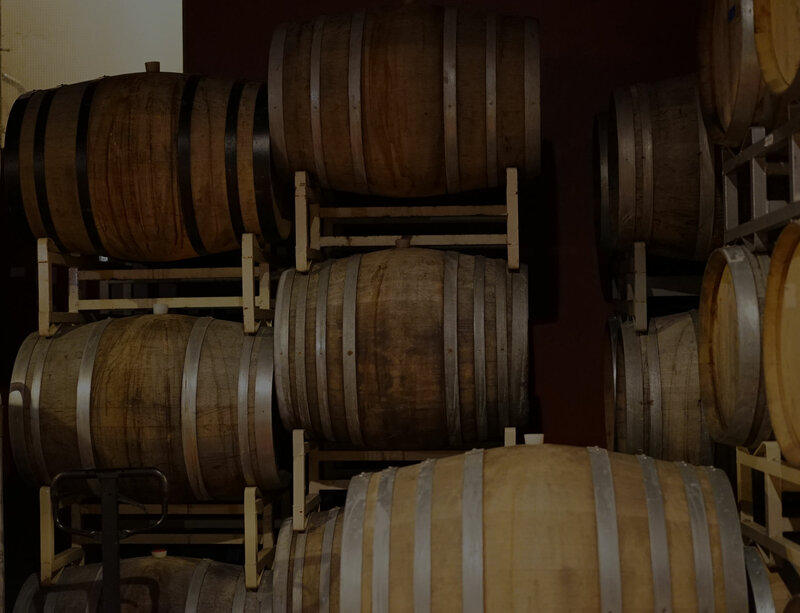 VinoShipper provides wineries with shipping permits and does all the tax reporting. 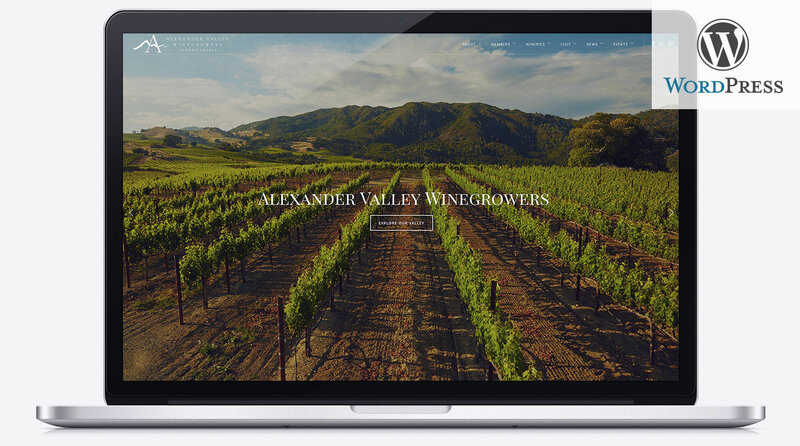 Vinbound will embed the VinoShipper online store directly into your website. VinoShipper also provides Wine Club management. No monthly fees, transaction costs are up to 9% per transaction. 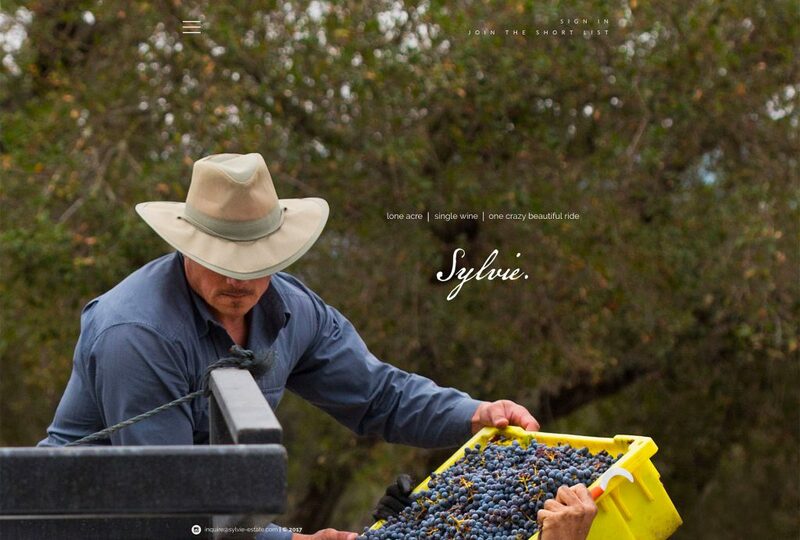 Commerce7 is a sales total solution for wineries: Ecommerce, POS, Wine Club, etc. 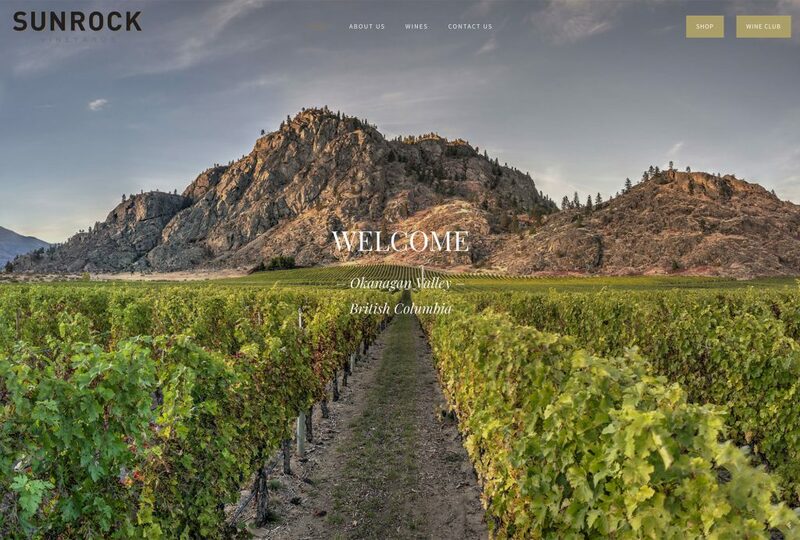 It’s the newest and best choice for wineries who need a solution that integrates with both online store and the tasting room. Monthly costs of $75+1% to $399/month. WooCommerce is a powerful online store plugin for WordPress. 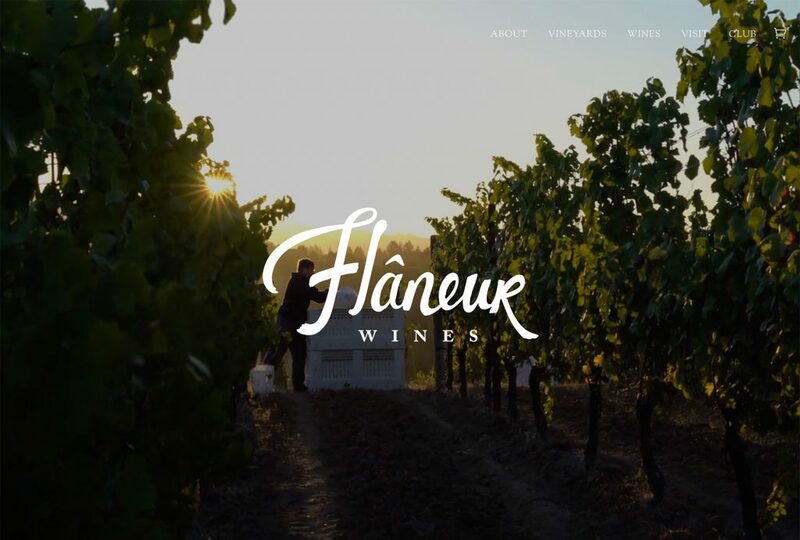 If you need a solid online store to sell wine, event tickets and more, WooCommerce is an excellent choice for your winery. No monthly costs, just 2.9% + 30 cents per transaction. 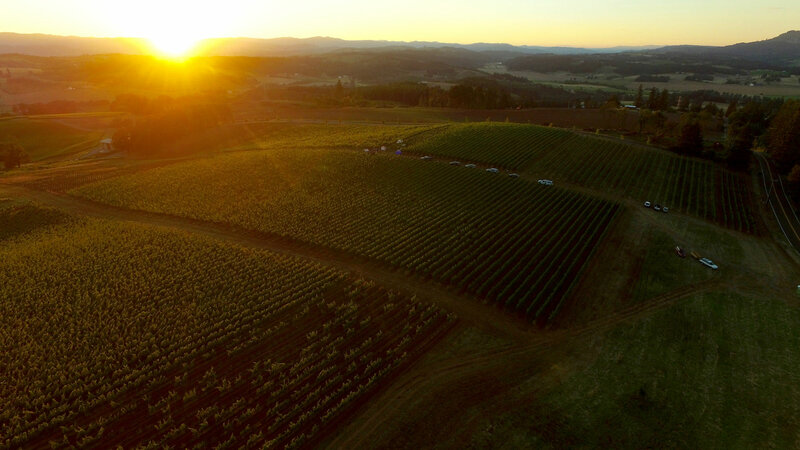 Interactive vineyard maps using drone or satellite imagery to virtually explore your vineyard details. Terroir geeks rejoice! 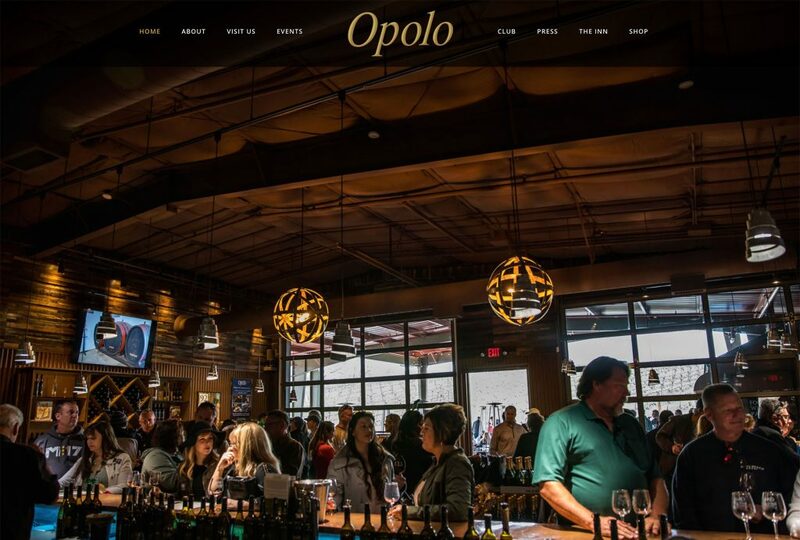 Book reservations and accept pre-payments for tasting room experiences before your customers arrive. 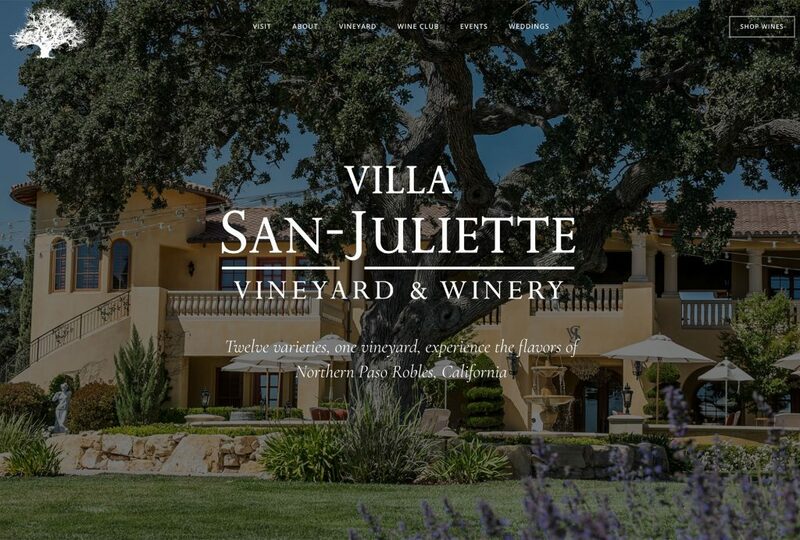 An alternative to VinoVisit and CellarPass. This services submits your business information and hours to major search engines to get your business on the map. Outsource your digital marketing (website updates, online advertising, email marketing) to one of our dedicated digital marketing managers. Assuming prompt communication, we will have your WordPress site ready to launch an average 4-6 weeks after receiving your signed contract, deposit (1/2 of quoted total) and content. Smaller sites will be ready sooner and larger sites (especially with Ecommerce) will be on the later end of the spectrum. We will be in close communication throughout the process so you know where your project stands, with several revision rounds throughout. You will need a fast, reliable server to host your WordPress website. We highly recommend Siteground, which has affordable hosting and email solutions. WordPress websites do require some oversight and technical maintenance to ensure site security and uptime. For this reason, we require all WordPress customers to purchase a monthly tech support plan from Vinbound Marketing. This $50/month plan includes website backups, tech support and up to one hour monthly website changes (just email us what you need done!). Why is the WordPress package more expensive than Squarespace? WordPress powers 25% of all websites on the internet (including this one). From a development standpoint, it simply takes more time to create WordPress websites. However, this extra development time means a much more customizable interface than SquareSpace. 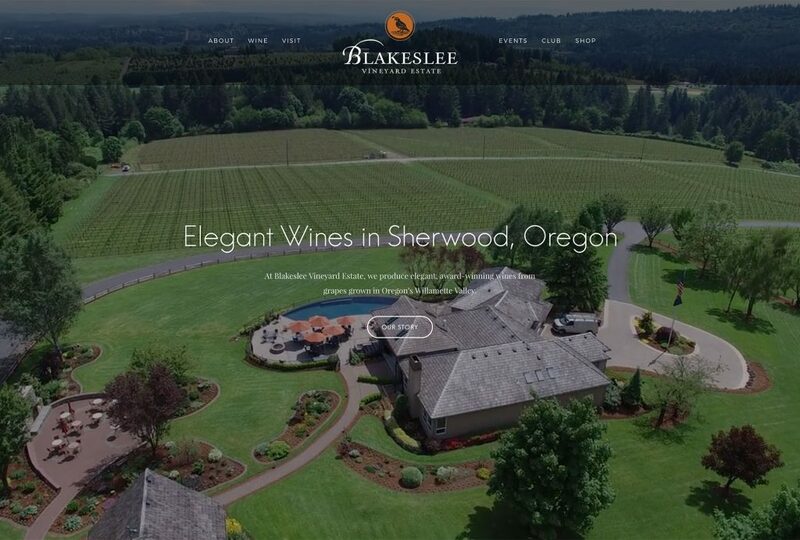 It can handle much larger websites (great for established wineries or AVAs) and comes equipped with powerful plugins to boost search engine rankings. The $6000 base also includes up to 12 pages, as opposed to 6 pages for Squarespace (extra pages available for $200 each on both platforms). Why is tech support required? WordPress websites need ongoing upkeep and management in order to continue to operate properly. WordPress versions, themes and plugins all are constantly being updated by the developers to address security issues and other web technology development. Without a tech support package, WordPress websites degrade and become a security liability over time. Our $50/month or $100/month tech support packages are outlined above, the latter of which also includes website hosting, email setup, SSL certificates, domain name renewals, etc. 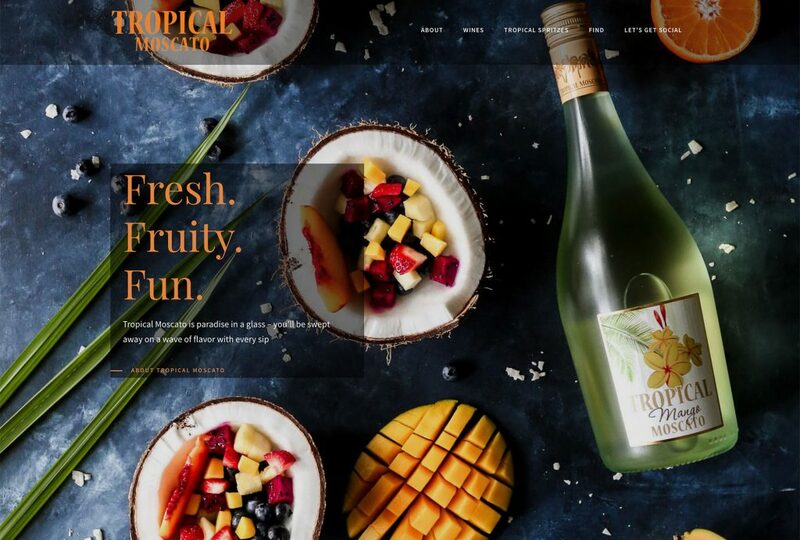 You will be an active participant in the design process by providing imagery, text, bottle shots, videos, etc.. Access to your existing domain, server and analytics programs will be requested. We will provide a checklist at the beginning of the process so you know what to provide. What other website packages do you offer? 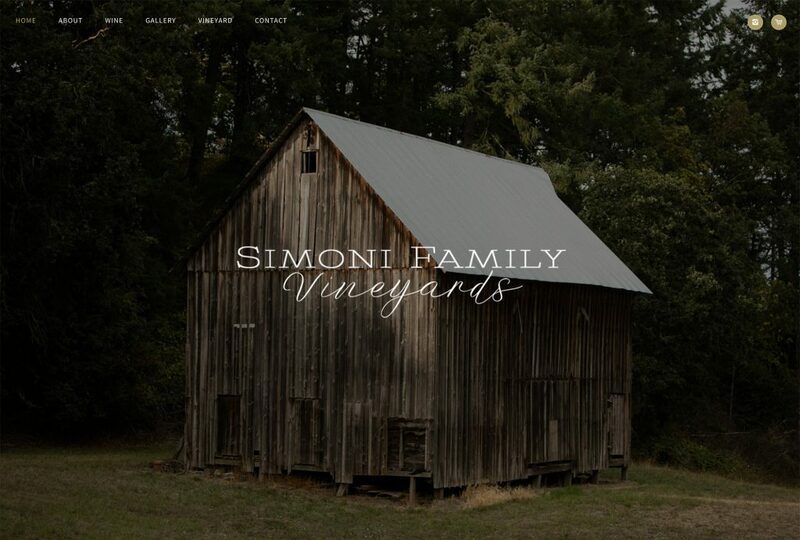 We have a one-page website package, also built on WordPress, for vineyards or very small wineries that just need a simple, long-scroll website. 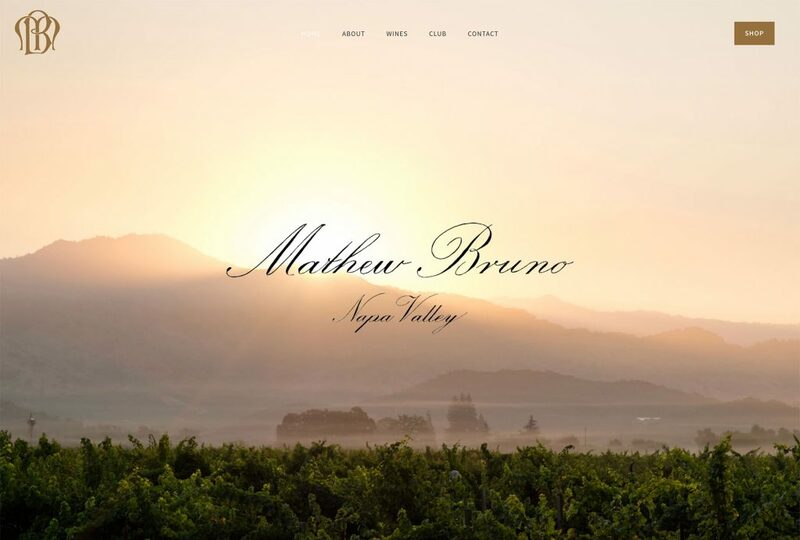 Our Squarespace package is a 6-page core build and perfect for smaller wineries that don’t need a lot of content. 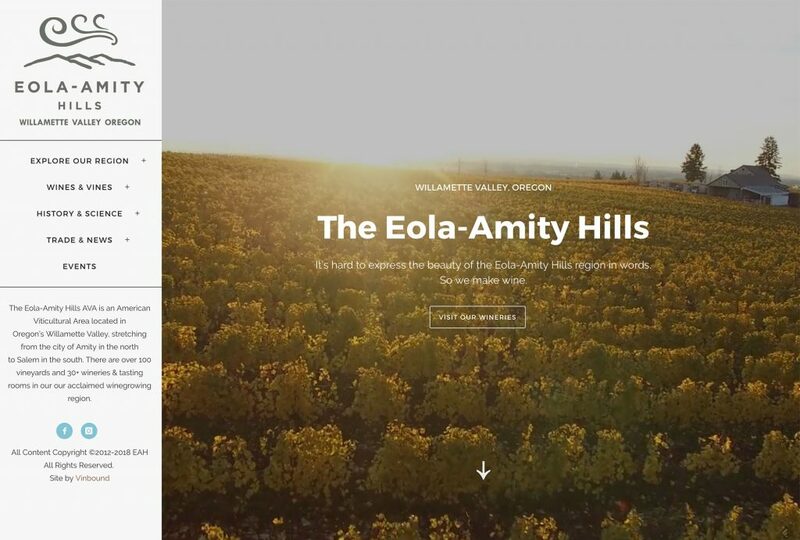 We also can scale the WordPress package on this page to serve AVA and wine regions, with many more pages, winery directories, reservation systems, and virtual-reality integrations. The general cost of these large-scale sites is 10-20k depending on breadth and features.